The night of the sixth-grade dance is supposed to be perfect for Maddie; she'll wear her beautiful new dress, she'll hit the dance floor with her friends, and her crush, Avery, will ask her to dance. Most importantly, she'll finally leave her tiny elementary school behind for junior high. But as the first slow song starts to play, her plans crumble. Avery asks someone else to dance instead--and then the power goes out. Huddled in the gym, Maddie and her friends are stunned to hear that a tornado has ripped through the other side of town, destroying both Maddie's and Avery's homes. Kind neighbors open up their home to Maddie's and Avery's families, which both excites and horrifies Maddie. Sharing the same house . . . with Avery? For the entire summer? While it buys her some time to prove that Avery made the wrong choice at the dance, it also means he'll be there to witness her morning breath and her annoying little brother. Meanwhile, she must search for her beloved dog, who went missing during the tornado. At the dance, all she wanted was to be more grown-up. Now that she has no choice, is she ready for it? 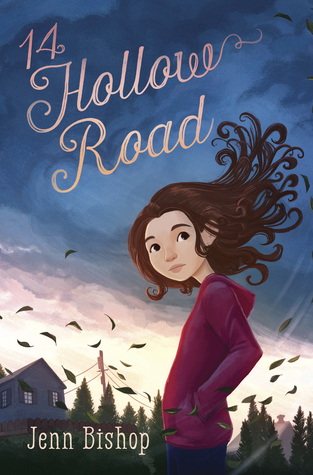 After I finished reading The Distance to Home by Jenn Bishop last year, I remember thinking, "wow, this is a book I would have loved as a kid." Because I read books just like this as a kid. The first one that came to mind was Lois Lowry's A Summer to Die. I remember borrowing it from the public library. I even remember I read it over the summer. And it was exactly the book I wanted. Why? I don't know. There was nothing about my life that was tragic, so I guess I wanted to experience it through a character. The more dramatic a book was, the more I wanted to read it. So when Jenn wrote her Nerdy post last summer, I was so glad that I "got it"... I was the intended audience, whether in my kid years or adult! Now Jenn has her sophomore effort coming into the world in less than two weeks, and I'm here to tell you that my kid self would have loved this book. Ok, my adult self did too. It's a coming of age novel where everything is so awkward... friends branching out and meeting new friends - does this mean the friendship has changed? Liking a boy and not knowing if they like you back and analyzing the looks and words and actions - but throw in having to live with the boy, how does that work? Not only are relationships changing, but so is your body.... Ok, I don't want to go back to my tween years :) I know so many young readers who will see themselves in this book and fall into the pages. But then there's the added drama of a tornado - and this is where my kid self falls right into the book! Here's the window part of the book experience. I don't, nor would I have ever wanted, this book to be a mirror for me, but to think about it, to even experience it through the written word, is something I would want, something many other readers want. Jenn mixes this together so well! It worked in The Distance to Home and it absolutely works in 14 Hollow Road. This is a book that will fly off your shelves and require a hold list. I can see readers passing it off to one another now. Make sure a copy or two lands on your shelves on June 13th! 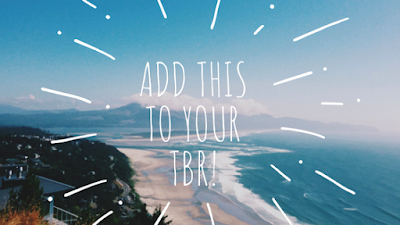 I'll have to put both on my ever-growing TBR list!! Thanks, Michele!